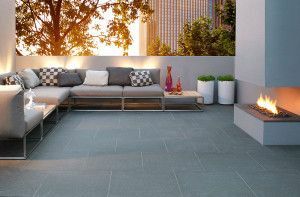 Ceramic vitrified paving absorbs little moisture, is stain resistant, requires minimum maintenance and has a reduced risk of moss and algae growth compared to natural stone, and is a stylish paving solution suitable for indoor and outdoor application. Gravity paving offers unrivalled strength and durability common of the vitrified paving range, combined with robust good looks making it one of the most desirable vitrified products available in the Stonemarket paving range. Gravity is available in three contemporary colours - Gravity Steel is light-grey with an extremely attractive flecked texture. 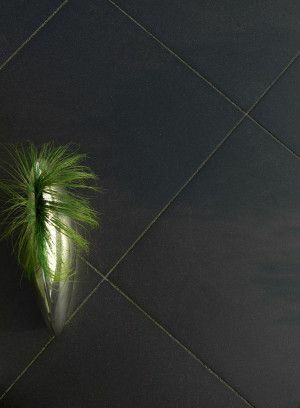 Gravity Basalt is a dark grey with a flamed texture whilst the new Gravity Dark and Gravity Black feature exquisite colouration's which are difficult to achieve in other materials. 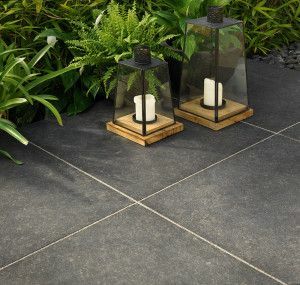 The Stonemarket Gravity range of garden paving is available in single sizes and project packs allowing you to experiment with the different laying patterns and customise your paving design. 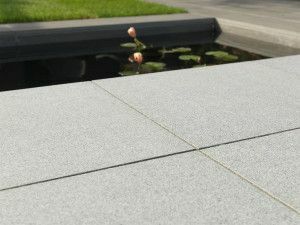 Gravity paving also comes with a narrow jointing compound in a choice of buff or grey.